We provide a wide variety of fixed price packages and services for non-US residents interested in forming an LLC in Washington, DC. Whether you need a serviced office in the District of Columbia, green cards and working permits, or virtual offices with email, mail, fax and call forwarding to anywhere in the world; our team of legal and financial experts can sign deeds and documents on your behalf. We are also able to arrange bank accounts for your Washington DC LLC or other company project, along with tax planning and accountancy services, both pre and post incorporation. How much does it cost to start a business in Washington DC? How long does it take to open a company in the District of Columbia? Setting up a company in DC can be completed in one week, depending on the rapid receipt of all required information. 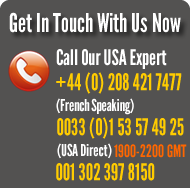 We can send the relevant documents to you anywhere in the world. Virtual offices (including telephone, fax and mail forwarding facilities) cost £220 per month, which is payable quarterly in advance, plus £660 deposit which is refundable within 30 days upon termination of your office contract. Service offices are based upon your personal business needs. Start An American Company provides a range of accountancy services to manage your requirements, based upon approximate number of monthly invoices and projected annual turnover. Please contact us for a quote.